So yeah I just completed bravely default after having had it since December and it finally gave me something I wanted to write about. 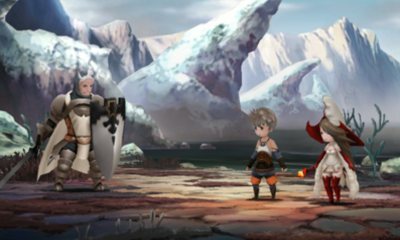 For those of you who don’t know Bravely default is a JRPG for the 3DS in the style of some of the older final Fantasy games. For the most part the game is pretty standard JRPG fare go round killing monsters in random turn based battles, you get the idea. 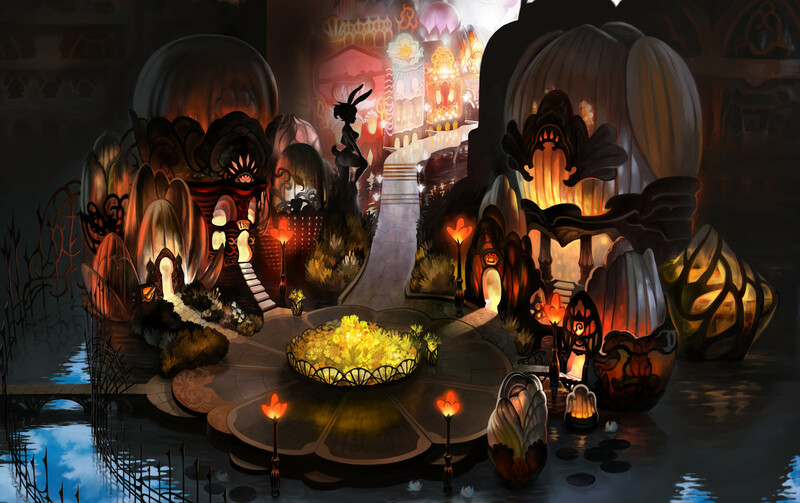 But it also does a number of things differently and changes some of the genres conventions in interesting ways. First is the battle system which which introduces the brave and default mechanic. What this essentially means is that you can default, essentially defend, for a turn and store BP (brave points) which can be used to take an extra action in an upcoming turn. You can also brave, which means you can take two or more actions in a turn using up your built up BP, you can also brave without having any BP but this will mean you will lose your next turn. Its a system that seems simple enough but it gets a lot more complicated when you consider all of the games other systems. First you have to consider the moves of your enemies as they can also use the same system potentially being able to wipe your party if they brave multiple times in one turn. Secondly and perhaps most importantly is the games job system, which is extensive. Not only are there around 13 jobs in the game, you can also have a charter with two jobs set of abilities at a time, mixing and matching both jobs strengths and weakness. An extra layer of depth is added to the job system is added when considering the BP system in all this, some jobs will give you extra BP while others have abilities which use up BP. If anything the amount of choice and combinations on offer is a bit too overwhelming and I found myself spending a good amount of time in menu screens messing around with my charters jobs.Still in the respect of combat Bravely default brings a lot to the table and most of the time its great to play. Thankfully the game also gets rid of many annoyances with the traditional JRPG. Unlike the majority of JRPGs you can change the encounter rate of random battles, even setting the encounter rate to zero if you want to get through an area quickly. You can also fast froward battles so random encounters aren’t so tedious. Even better you can turn battles on auto, so grinding becomes much less of chore. That’s not to say that Bravely default takes out the worst elements of JRPGS, it simply makes them a lot less tedious. With grinding and random encounters still being central to the game. Its a shame then that a game which does so much to cut down on time wasting, that the story does the opposite. Without spoiling too much you are pretty much required to carry out the task you completed in the first four chapters, four more times. Its just incredibly annoying to have to revisit the same areas over and over again and is just lazy design. While there is some new dialog you can tell that the final chapters of the game are simply padding. This wouldn’t matter as much if the final story pay off had been good, but by the point the final twist is revealed it has already been foreshadowed so much, it is incredibly disappointing.The last half of the game just left me with a really bad impression of the game as a whole.There isn’t too much to write home about in the first half of the story either and its mostly standard JRPG story tropes. With the story revolving around four hero’s who are attempting to awaken the four crystals to save the world from darkness. The games exploration is also incredibly dull and boring at times. Dungeons just end up being long corridors filled with random encounters and chests. It feels as if the game was built primarily around the battle system with little thought being put into the other elements of the game. While there’s certainly a lot to enjoy about bravely defaults battle and job systems, its exploration and story ruin what could have been a much better game. Hopefully the upcoming sequel can rectify some of the games problems. I really enjoyed the game. Sure I would rather have had different areas to explore in the later chapters, but the repetition didn’t bug me as much as it has other people. It’s a shame that the later chapters spoiled the game for so many as it is one of the better JRPGs I have played in recent times. Perhaps they should have just made the game shorter.